In olden times, when the hours of darkness meant a cessation of hostilities until the following day, the object of the call was to collect and post the necessary guards for the camp, garrison, etc., for the night. It was also a warning for those outside the camp or garrison to retire or they would be kept outside the night. We thus find that there is some confusion arising between "Retreat" and "Tattoo". This confusion may, in part, have been caused owing to the French using the word "Retraite" for the familiar call to our "Tattoo". From the following extracts from old orders, it would appear conclusive that Retreat was meant to be separate from Tattoo and to be beaten at sunset. Coming to my experience of the ceremony, well we were late for the ceremony and the place we were supposed to be seated was full, so we had to rush to the arcade towards the left of where some of the seats were supposedly vacant. Reaching there was a task too, as we managed to enter the arcade, we had a hard time locating somewhere to sit. Where-ever we stood, people seated behind us started shouting, and it was quite an experience... Clearly you should not block some one's view, and as a friend said to me be the change you want to see, we decided to stand somewhere we would not block view of others. It was then that the smartness of an engineer came to play. Well my sister located two un-taken chairs and rushed to ask the security personnel, sir can I take the chair. He promptly agreed and here were we both trying to position the chair towards a metal chamber so that we can stand up on the chair and get a frontal view of the ceremony. It was like two people standing on one chair. Now we all could pay attention to what was going on at Vijay Chowk. The President Pratibha Patil, was sitting conveniently inside a glass chamber along with the also the Supreme Commander of the three Forces, the Army, the Navy and the Air Force, the audience also sat through a ceremony that elicits a feeling of nationhood and pride! The Prime Minister Manmohan Singh was also sitting amongst the audience with wife and UPA Chairperson Sonia Gandhi. Thirty-five bands from the Army, the Navy and the Air Force took part in the ceremony that began with the arrival of the President marked by fanfare by trumpeter. Well synchronized parade playing bands were performing and adding poise to the retreat were men on camels standing inside Rashtriyapati Bhawan! The pillars also stationed some buglers who kept playing their musical instruments at frequent intervals, in tune with the band marching performance. The tempo set the feel and audience did not miss applauding several times through the ceremony. The first march of the massed band was the popular Sam Bahadur, named on a popular Indian army officer. This was followed by the performance of pipes and drums which had the audiences tapping the feet with their Surya, Sky Boat Song, Pipers Cave, Highland Laddie and The Marquis of Huntly, among others. The Naval and Air Force Bands, striking in their appearance and confident in their bearing, charged the atmosphere with their repertoire that included the beats of Ocean’s Splendour, Bharatiya Navsena, Sky Hawks, Nocturnal Cry, Swatantra Bharat ki Shan and Subroto. The military bands with their Hanste Lushai, Gangotri, Abhinandan, Dhola-Re-Dhola were as spectacular to the eye as they were an aural treat. Next it was the massed bands again enthralling the audiences. Their quick march to the tunes of Saare Jahan Se Acha brought the curtains down on the ceremony! 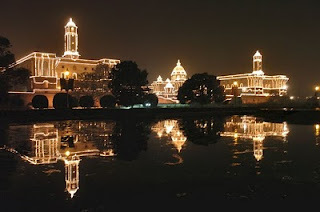 The president's house and the parliament was lit and it looked like a marvelous palace, wow came out of everyone the moment the place was embedded with golden yellow lights! Now the horses started marching towards the parliament, as it was getting dark, the spark generated due to friction between horses' shoe and concrete road was added zing to the festivities. Following it was the indicators of bikes and jeep signaling that its the time to go. By this time the audience started moving out of the arcade, but we stood there for some more time as we did not want to miss anything and also we had to locate a friend, who had to park the car. 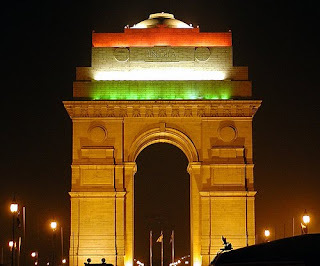 India gate was also decorated with an imprint of tricolour. It is an art, science and a theatrical display of courage, spirit of nationhood, patriotism, and a call for global peace! 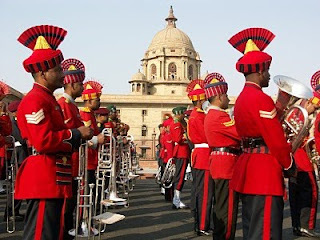 Author's Note: The Beating Retreat ceremony is worth witnessing.. 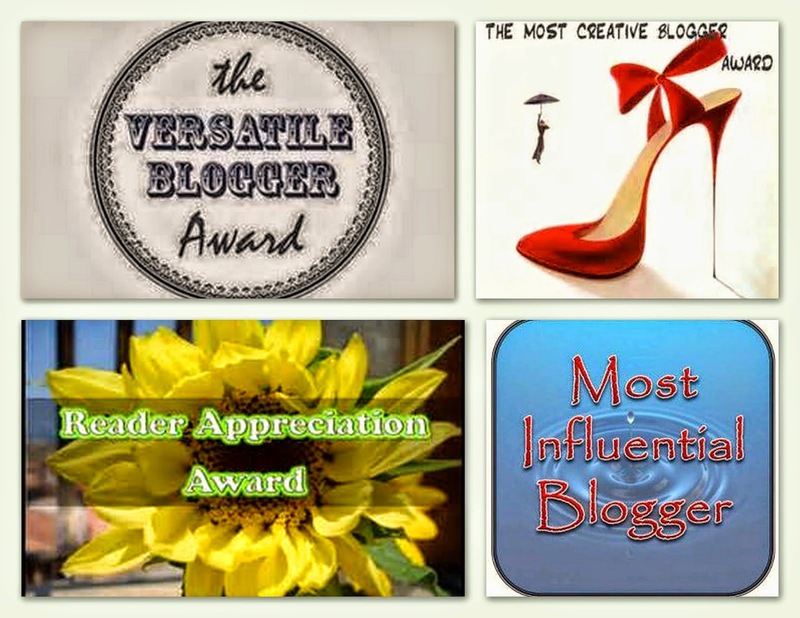 I wish I have done justice to the ceremony through this blog post! Glad U enjoyed d ceremony so much. Too bad U cudnt see it from the place U were supposed to. Sam Bahdur was not just a popular army officer. He is one of the 2 Field Marshals of the Indian Army. There are numerous stories of his bravery. Its often said 'If a man is not scared, he is either God or Sam Manekshaw'. U may look him up. Maybe U will write a blog on him too. Glad to see ur patriotic and enjoyed the revelry on display there. 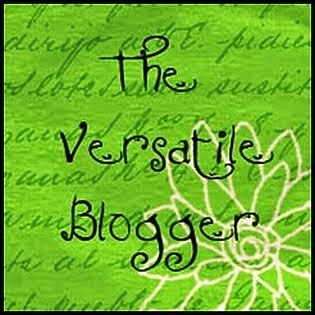 As I keep saying, I luv the research U put into ur posts.